As a quality driven enterprise, we are engaged in providing a high quality range of Highland BagPipe. bagpipe instrument was originated from scottland. we use brass fittings. we give both option in bladder both rubber aas well as leather. 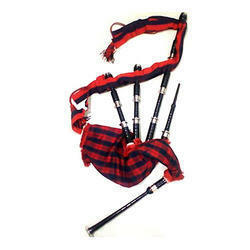 Matching up with the requirements of our clients, we are involved in offering Handmade Musical Bagpipes. - Ready to play with a long-life, 100% air-tight bag. Being one of the renowned firms in the industry, we are decidedly involved in providing a high-quality array of Rosewood Bagpipe. 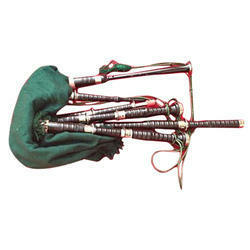 With enriched market experience, we have been able to offer a wide spectrum of Basic Bagpipes. The Popees bag is made up of strong durable fabric which ensures that you can utilize it to its maximum potential. The strong outer fabric is resistant to wear and tear. We are counted among the well-reputed firm for providing an extensive range of Bagpipe Band Instrument to our esteemed patrons.